2-Piece Break-Apart Heart Pendant in 14k solid yellow gold with the words, "I Love you" on the front and engraved with the words: "Lovers apart but always together" engraved on the back. Heart measures approx. 15/16" in size. Match it with two gold box chains and wear each half of the heart together. 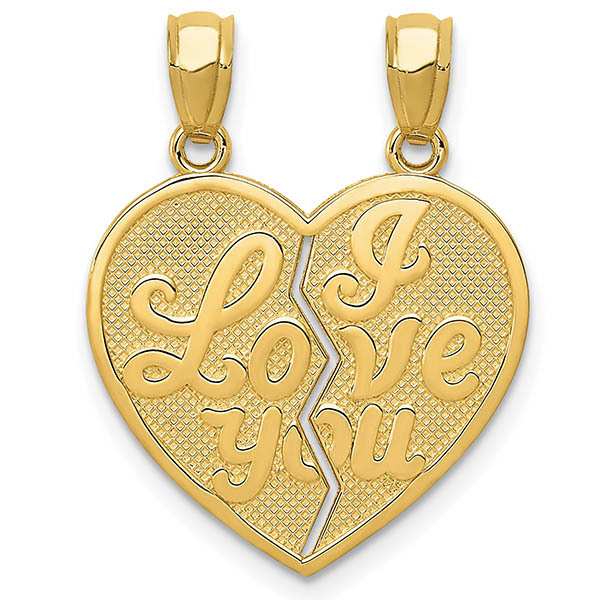 We guarantee our I Love You 2 Piece Break-Apart Heart Necklace, 14K Gold to be high quality, authentic jewelry, as described above.